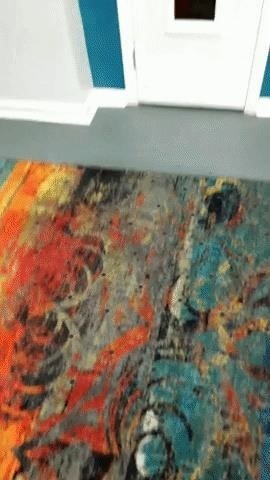 In the weeks following Google's AR toolkit launch last month, the availability of quality ARCore apps has been somewhat limited. That changed on Tuesday, as a flurry of new and updated apps arrived on the Play Store, including some AR experiences available exclusively on Android. 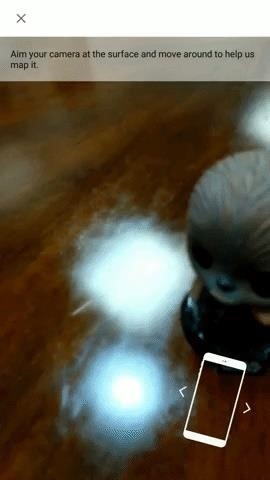 Google highlighted several apps and games via a blog post, as well as a special editorial section dedicated to AR and a collection of AR apps on the Play Store. Among the Android apps gaining ARCore functionality are the mobile offerings from eBay, Lowe's, and Jet.com, all of which do not currently offer ARKit features in their iOS apps. 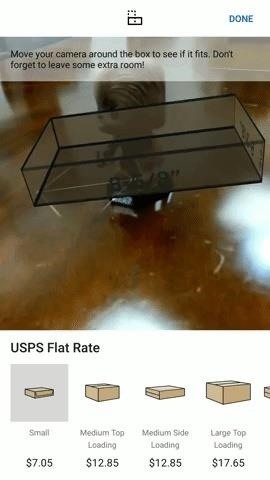 To help its sellers take the guesswork out of shipping, eBay has launched a new augmented reality feature in its Android app that lets sellers place virtual USPS Flat Rate boxes around their real products to find the right fit, along with an instant calculation of shipping costs. Users can also rotate boxes vertically for taller items. "By coupling Google's ARCore platform with premiere AR technology built at eBay, we are continuing to make the selling experience more seamless," said James Meeks, head of mobile at eBay, in a statement. "This technology is just one example of the types of innovation we're working on to transform eBay. It demonstrates our continual innovation on behalf our sellers to help them save time and remove barriers." After previously releasing a pair ARKit apps and a Tango app for in-store guidance, Lowe's has updated its main shopping app with an AR product preview feature. Customers can now view a selection of furniture and appliances in their home or cooking grills on their back porch. 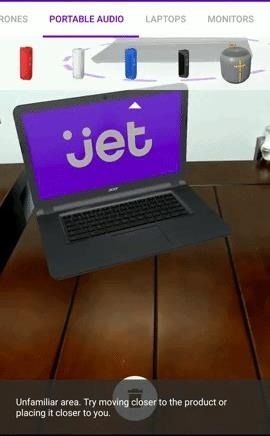 Meanwhile, the Jet.com app now gives shoppers the opportunity to preview a selection of electronics, including TVs, laptops, speakers, monitors, coffee machines, and VR headsets, with multiple products viewable at the same time. 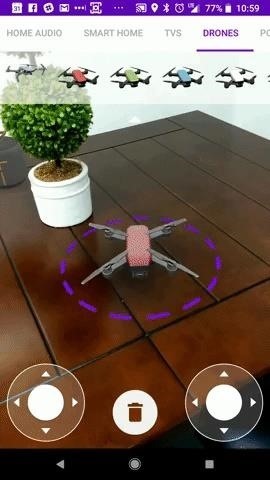 The app also lets shoppers place virtual drones on their desks and then fly them around their space. As expected, users can then click the virtual items to add them to their shopping cart. After months of waiting, we're finally starting to see more big-name brands port their ARKit apps to the Google Play Store. 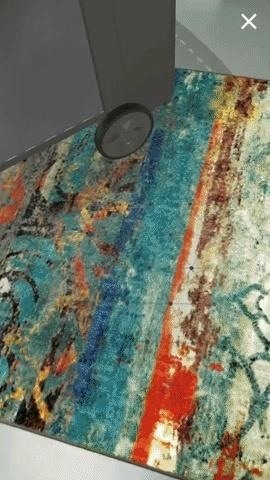 For example, IKEA Place, Pottery Barn 3D Room View, BMW i Visualizer, and Porsche Mission E are all now available for those with ARCore-compatible devices. "When we first launched IKEA Place on iOS 11, in September 2017, we gave our customers the opportunity to 'try before you buy,'" said Michael Valdsgaard, leader of digital transformation at Inter IKEA Systems, in a statement. "Customers truly appreciate that we are helping them to create a better life at home using our AR technology. Today's release is about bringing the ease of IKEA Place to over 100 million Android devices as well." However, Lowe's, eBay, and Jet.com stand as interesting cases of brands opting to launch AR functionality first on Android instead of iOS. It's a big win for Google as it starts to trim Apple's lead in the mobile AR apps space.